Classified under the Bureau Veritas classification society, her registration is valid until 2020. 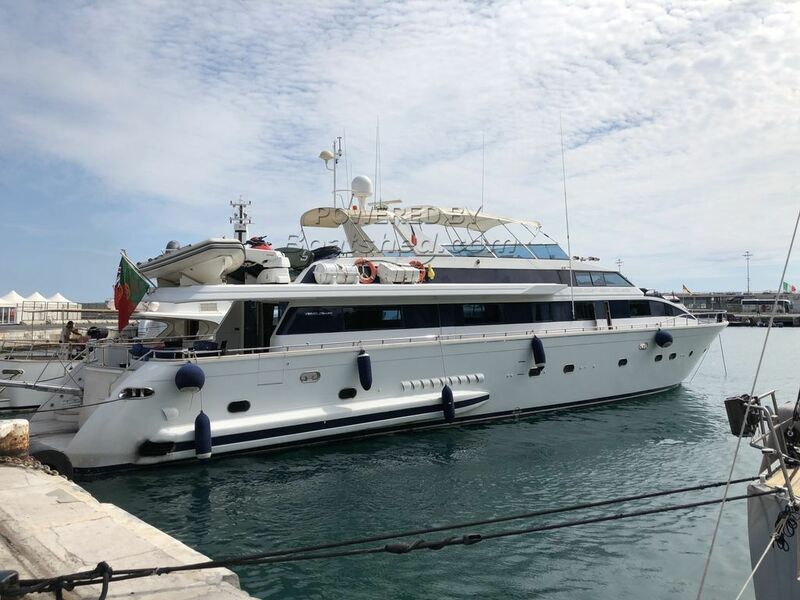 This yacht has the authorization for 36 passengers for the sea trails and has a total capacity in the port of 70 passengers. The fly is enormous and has a seating area for 24 persons. Challenger motor yacht was built in 1996 by Versilcraft and last refitted in 2014. Her impressive leisure and entertainment facilities make her the ideal charter yacht for socialising and entertaining with family and friends. The interior layout sleeps up to 8 guests in 4 staterooms, including a master suite, 1 VIP stateroom and 2 twin cabins. She is also capable of carrying up to 4 crew to ensure a relaxed luxury yacht experience. Timeless styling, beautiful furnishings and sumptuous seating feature throughout her living areas, to create an elegant and comfortable atmosphere. Capbale of 25 knots flat out and a cruising speed of 20 knots, her twin DEUTZ 1875hp engines, with their 15,000 litre fuel tank capacity, offer an attractive proposition to those looking for longer distance cruising. This Versilcraft Super Challenger 96 has been personally photographed and viewed by Edward kay & Antoine Perrin Daragon of Boatshed Riviera. Click here for contact details.